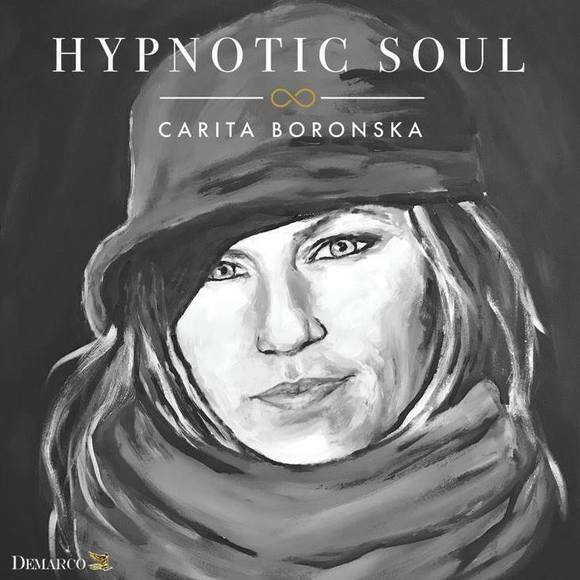 HYPNOTIC SOUL Caritas latest work is her solo-album "Hypnotic Soul" (2018). The music on this album is a cross-over between pop, soul, jazz, folk, blues and singer/songwriter. CARITA writes about humanity, human behavior, love & longing, surviving a war, woman abuse, Mother Earth as well as as some personal, philosophical thoughts and questions. In 2007 she recorded a solo-album called "Jazzuality”. Many of the songs included on the album come from a repertoire played for many years together with the musicians & friends that participated on the album. She wanted to catch that Live-sound, the variety and those unpredictable interpretations that usually turns out different from performance to performance. Carita was working on new songs in solitary for about a year and came up with her single "I Surrender" in 2015, an electro-acoustic-elegant sounding "pop" song. She has worked on the arrangements around the melody and voice adding electronic sounds and ingredients to acoustic instruments such as real violins, nyckelharpa (key harp = a Swedish folk instrument) and tablas (indian percussion) On other songs she has also used acoustic guitars, real drums as well as a homemade fretless bass... all mixed with electronic sounds. In 2007 CARITA recieved a SILVER-MEDAL PRICE at the Park City Filmmusic Festival for the filmmusic of the Spanish film "Eres mi héroe" (You're my Hero). That same year she released her solo-album "Jazzuality" which she arranged & co-produced. CARITA has also produced most of the filmmusic she's composed as well arranged & produced her single "I Surrender". Carita Annika Boronska was born in Uppsala, Sweden. She has been working as a Singer, Songwriter, Composer and music/vocal teacher mainly in Madrid/Spain for many years. CARITA is currently living & working in Sweden. on 5 Albums, 3 Maxi-singles, 7 Films and a variety of work in TV, Commercials and Jingles. Performer in Various Festivals, Theaters, Club-venues as well as FILM & TV-shows. Published recordings with major labels like UNIVERSAL, EMI and also independent labels & production companies. Mainly guided by intuition and spontaneous inspiration,qualities that have been fundamental when composing for example film music, she creates a very intimate and visual music. Carita is the author, musician and singer of several Film-scores, Released albums, music for Television and some publicity.